Android Security is a kind of different as unfortunately Android is not of exact architecture like other operating systems such as pure Linux or iOS. Android is a Linux-based, but the Linux Kernel is modified. Every successful platform not only attracts more users, but sometime also adds shady characters for bad intentions. Fortunately, the number of Viruses and Malwares is less in comparison with Windows OS. 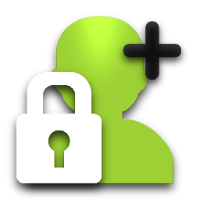 This article on Android Security is for increasing public awareness. Smartphones are taking more and more the role of a personal assistant, financial transactions, purchases are made and trips are booked using the mobile devices. Therefore, viruses and Trojans will inevitably become an increasing problem. It does fortunately not too much, in order to guard against the emerging threat. In most cases, it is enough by default, some requires some exercise. Android Security is different not only for the structure, but also for the Licensing model, user privilege etc. Android apps should be downloaded if possible, only from known sources such as the Android Marketplace, that is Google Play. All recent Android Trojans were largely introduced via unknown app marketplaces those are in circulation. With reviews and testimonials of other users one gains additional insight. The number of previous downloads and the name of the app developer can be useful information. Before downloading an app, serous marketplaces such as usually list the access permissions granted to the app to ensure its functionality. If you have an idea about the features of the app, you can consider if you want all of the app permissions are meaningful. If permission does not match the capabilities, the interruption of the download can be useful. When the Android device suddenly behave strangely one day, this may be an indication for the existence of a virus or trojan. You should be suspicious if unknown apps on your smartphone or the main unit automatically sends emails or SMS anyway. If the receiver of the message is then completely unknown, the suspicions are confirmed further. What could be more natural is to equip the mobile devices such as Android smartphones and tablets with a security software by default. Specifically for the field of virus protection, pay attention. Google Play Store has free apps ready to scan every app already download and can be immediately identify malicious programs. Like in real world, there are peoples who loves to show off. To many users; the usage of getting root access is either not known or has not much knowledge what knowledge of security actually needed for a rooted device. Rooting is not a shiny terminology, it is quite serious from various aspects. This Article Has Been Shared 8419 Times! Cite this article as: Abhishek Ghosh, "Android Security: Protection Against Viruses and Malwares," in The Customize Windows, March 27, 2013, April 21, 2019, https://thecustomizewindows.com/2013/03/android-security-protection-against-viruses-and-malwares/.